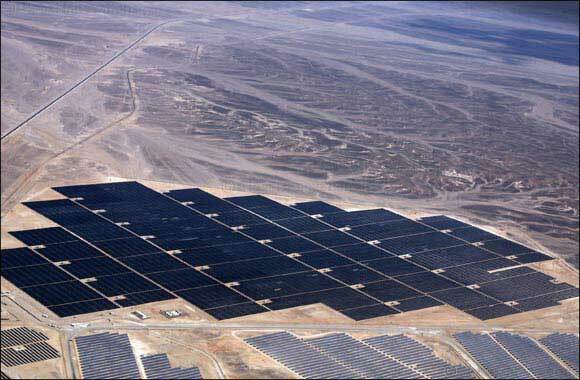 TEMPE, Ariz./AMMAN, Jordan, October 9, 2016 – First Solar, Inc. (Nasdaq: FSLR) today announced that it has commissioned the 52.5 megawatt (MW)AC Shams Ma’an project in the Hashemite Kingdom of Jordan, on schedule. The plant is owned by a consortium of investors consisting of Diamond Generating Europe Ltd., Nebras Power Q.S.C. and the Kawar Group. First Solar significantly contributed to the development of the project before divesting its stake and being appointed the Engineering, Procurement and Construction (EPC) contractor. Shams Ma’an has a 20-year Power Purchase Agreement (PPA) with the National Electric Power Company (NEPCO), the country’s power generation and distribution authority. “First Solar has delivered a high-performance solar energy asset on schedule and with an excellent safety record. There is no doubt that this power plant will deliver on its promises, reliably generating energy over its lifetime and forming the cornerstone of Jordan’s energy security strategy,” said Karim Kawar, Chairman of Kawar Energy. The plant, which accounts for approximately 1 percent of Jordan’s total energy generation capacity, produces clean electricity using over 600,000 high-performance First Solar Series 4 thin film modules, which deliver up to 5 percent more specific energy in Ma’an than conventional crystalline silicon panels. The modules are mounted on single-axis trackers that allow the facility to generate up to 20 percent more energy. “Shams Ma’an has been engineered for performance and is further evidence of the fact that First Solar’s high-performance modules can deliver more energy than conventional photovoltaic technologies in Jordan and across the Middle East,” said Ahmed S. Nada, Vice President and Region Executive for First Solar in the Middle East. Significantly, the facility was constructed by a workforce that was almost entirely Jordanian, with First Solar spending over 40,000 man hours on training alone, creating a new skills resource for the country. “Shams Ma’an has facilitated the transfer of several gigawatts of First Solar’s knowledge and experience to Jordan. Our hope is that the skills acquired through this project will further enable Jordan’s solar energy ambitions,” said Dr. Raed Bkayrat, First Solar’s Vice President of Business Development for the Middle East. The project takes First Solar’s installed capacity in the Middle East to over 70MWAC with a further 200MWAC to be added when the second phase of the Mohammed bin Rashid Al Maktoum Solar Park is completed in 2017.